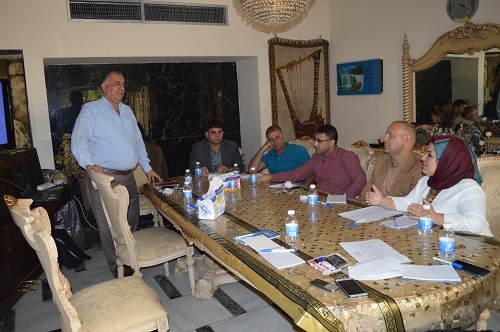 Hammurabi Human Rights Organization is continuing to hold the training workshops dedicated to identifying shadow reporting requirements to increase knowledge on the texts and international instruments on human rights and the importance of this knowledge in establishing a database and concepts in this regard. 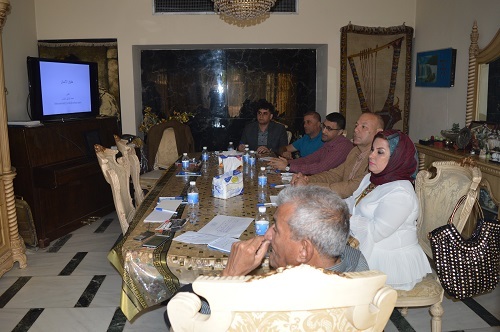 After the first workshop on 19/10/2018, the second workshop was held on 2/11/2018, which was inaugurated by Mr. William Warda, Public Relations Officer at the Organization headquarters in Baghdad, welcoming the participants. 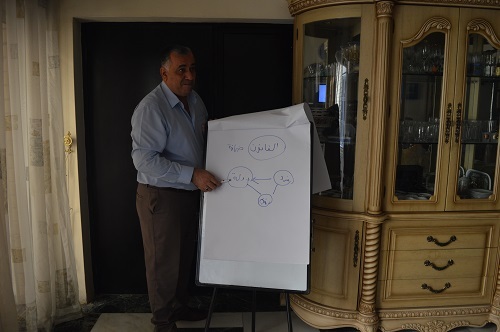 Dr. Mohammed Al-Obaidi, the key lecturer of the workshop confirmed that this type of workshops is a basic need for all officials and activists in the organization, and that the human being regardless of the levels of knowledge and possess a corner of experience, is still in dire need of more, here is the knowledge accumulation value especially when it is achieved by brainstorming and benefiting from the information presented on a subject of more effective communication and renewal so that the results are in the proper level of the task of Hammurabi Human Rights Organization as a voluntary civil organization that has taken upon itself to deal with violations of rights, whatever their source. 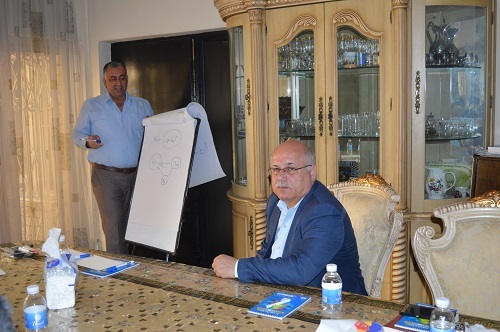 The researcher, Dr. Mohammed al-Obaidi, dealt with the subject within its historical and achievement sequence of the United Nations, referring first to the Universal Declaration of Human Rights, which was issued on December 10, 1948, after the tragedies and disasters that took place in the world during the World War II 1939 - 1945, In the terms of the Universal Declaration represents a summary of the aspirations of peoples and nations in a world of peace, justice and human dignity. Dr. Al-Obaidi then spoke about the International Covenants on Human and Civil Rights and Economic and Social Rights, which were issued respectively in 1966 and the internationally ratified conventions on combating racial discrimination, as well as the conventions relating to the rights of women , children ,immigration and labor, noting that this sequence in the international texts was based on the principle of pumping knowledge and the system of commitments needed by the communities in terms of guarantees for peace and the maintenance of human dignity in accordance with their needs for safe living , work, economic and health protection, educational opportunities and benefit from knowledge and protection of the environment that is to achieve environmental sanitation, which protects life and the vital development of nature against all forms of pollution. 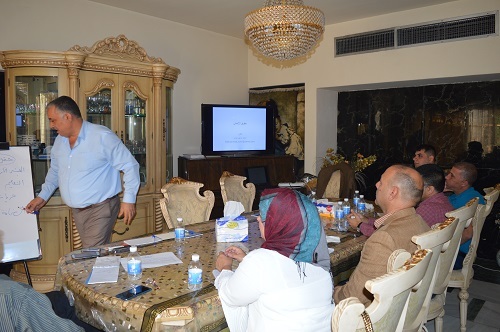 During the lecture, which took place on two extended discussion sessions of many related issues. 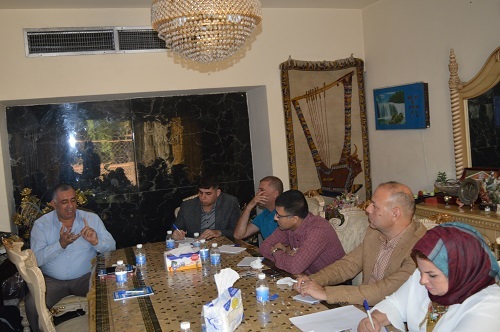 It is hoped that the third workshop will be held in the same context on the next few days.